This is our reference NY-17236. 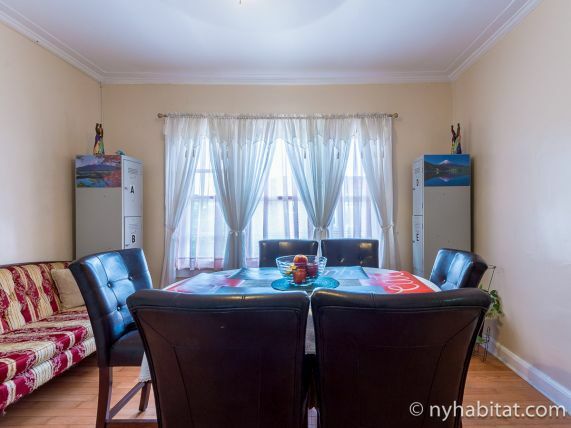 Welcome to East Flatbush, in the Brooklyn neighborhood of New York City! 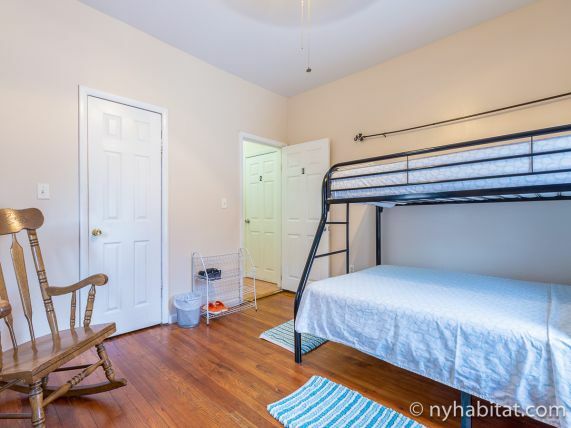 This four bedroom apartment share is located at the cross of Snyder Avenue and E 56th Street, on the second and last floor of a walk up private house. 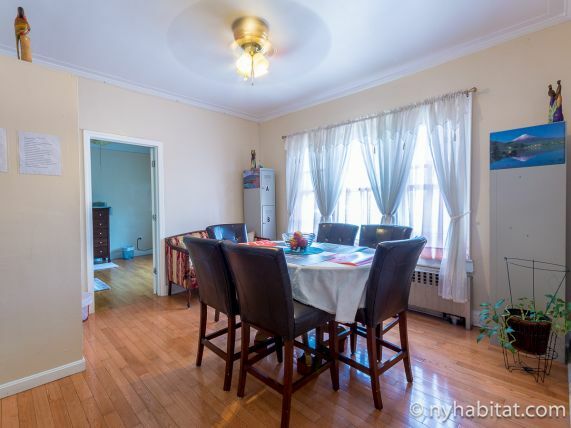 All four bedrooms as well as the living room have hardwood floors. 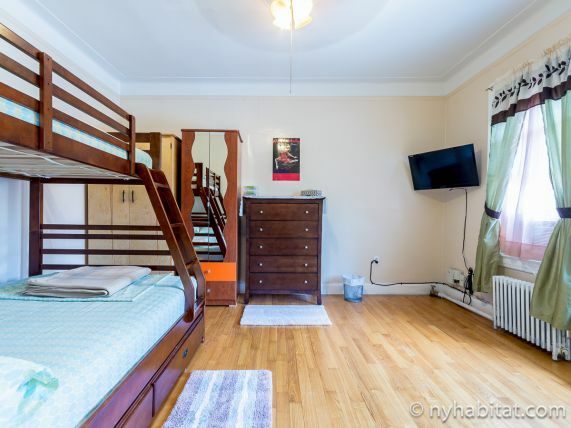 Bedroom 1, 2, 3 have bunk beds. 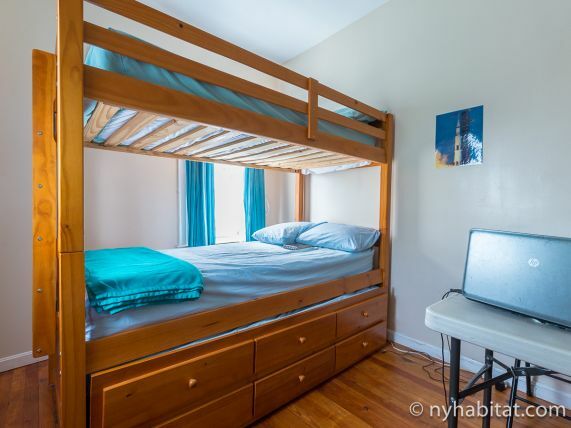 The bunk beds have a double sized bed and a twin size bed on top. Bedroom 4 has a double sized bed. The rooms that have no closets have a wardrobe. 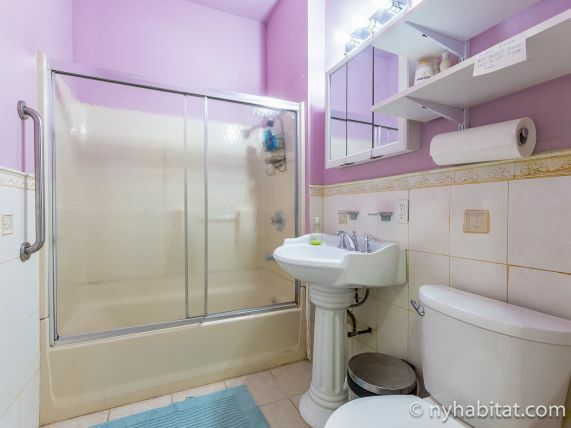 Bathroom 1 has a bathtub and bathroom 2 has a shower. The whole apartment has a multitude of windows to allow the natural light to shine through and make this fully furnished four bedroom apartment share feel like a new home. 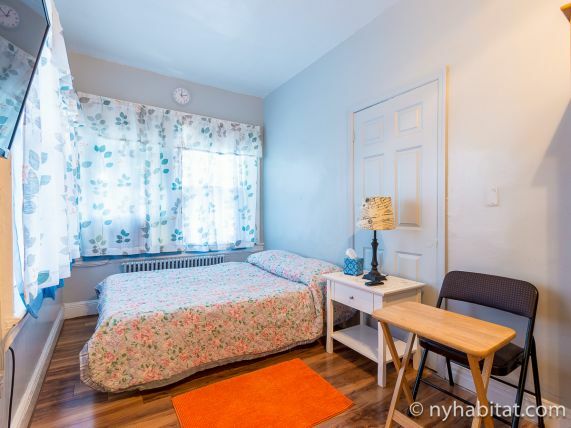 All rooms have access to the common areas, and feature A/C and a television. There is also some snacks, coffee, tea, cocoa and filtered water for your convenience. The living room has a dining table, a sofa and lockers. 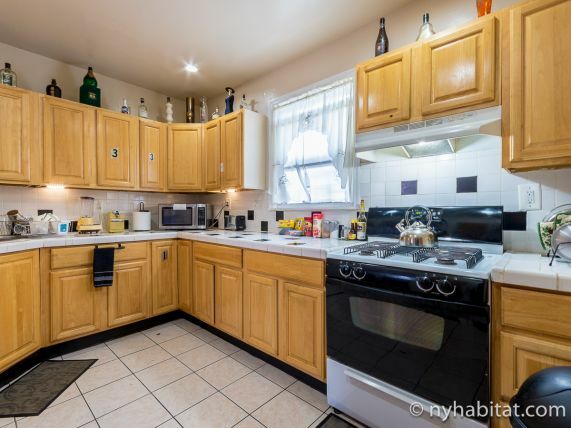 The kitchen has a microwave, an oven and a toaster, all the amenities you might need if you want to cook. The subway lines L at Rockaway Parkway Station (1.4mi/2km) and 2, 5 at Beverly Road (1.6mi/2.5km) will make your commute to Manhattant easier. 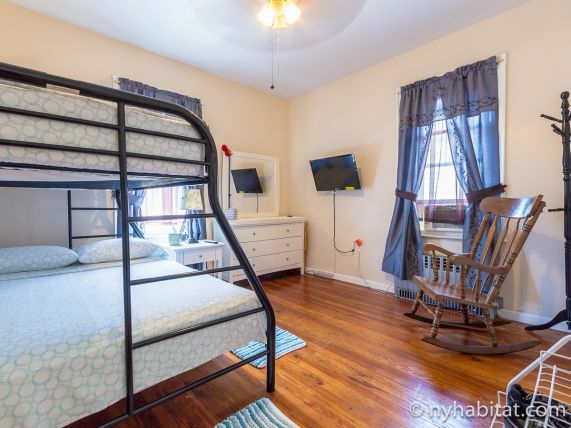 Bedroom 1 at $1050/month for 1 person and $1450/month for 2 people: Cleaning included; Utilities included. 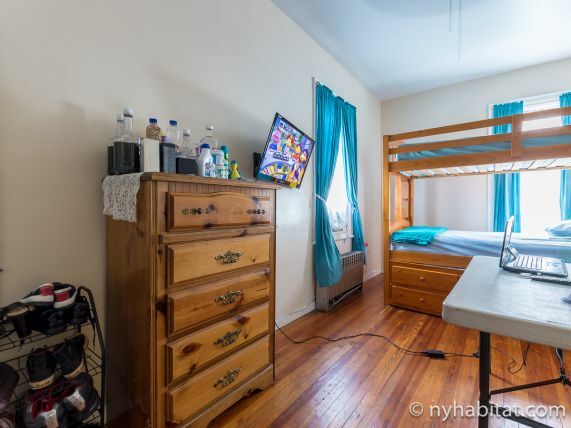 Bedroom 2 at $1050/month for 1 person and $1450/month for 2 people: Cleaning included; Utilities included. 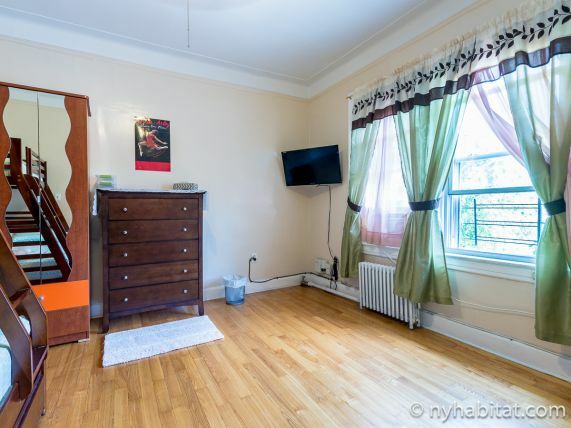 Bedroom 3 at $1050/month for 1 person and $1450/month for 2 people: Cleaning included; Utilities included. 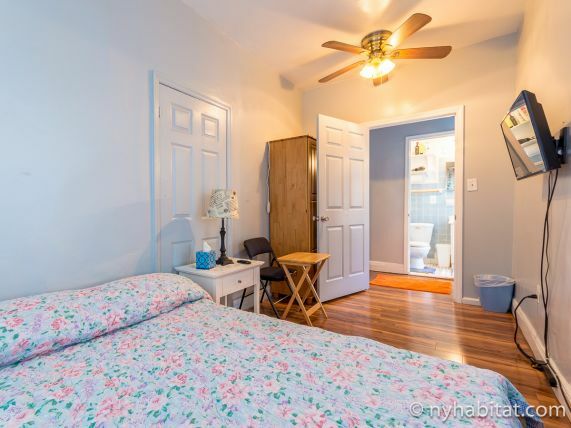 Bedroom 4 at $1050/month for 1 person and $1450/month for 2 people: Cleaning included; Utilities included.